Display your LOVE on a gift table, head table or another location with these LED Letters. 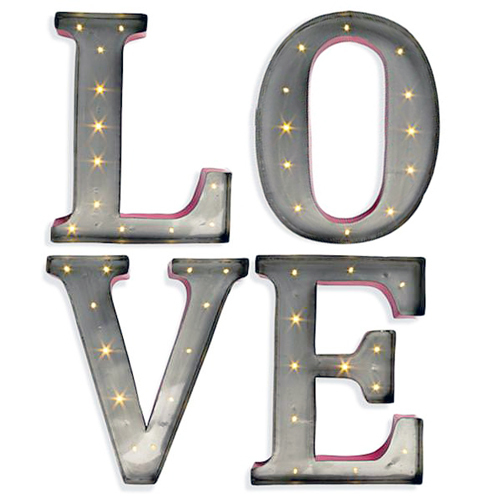 These metal free-standing letters spell "LOVE" and are battery operated. Silver front, red sides with a bit of a vintage/rustic feel, these make a great addition to any wedding or anniversary party!